In the past, the withering of tea leaves took place in the open air, but nowadays it increasingly happens in a heated, well ventilated room. This system offers greater control over the ambient conditions. Here, in Fujian (China), the temperature and humidity levels are carefully regulated, and the room benefits from a sophisticated ventilation system. 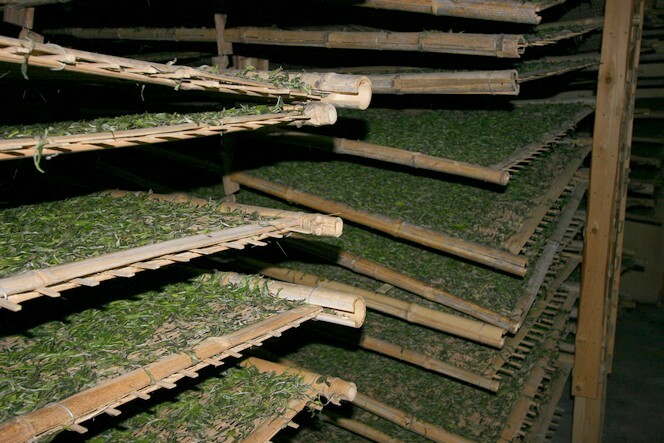 Which means the leaves of this Bai Mu Dan can gradually lose their water content.